In Milton Keynes there are four talented boys who play the role of Billy Elliot. On my visit to the theatre the role was played by Haydon May aged 12. What a talented young man! I look forward to seeing him again in future roles. 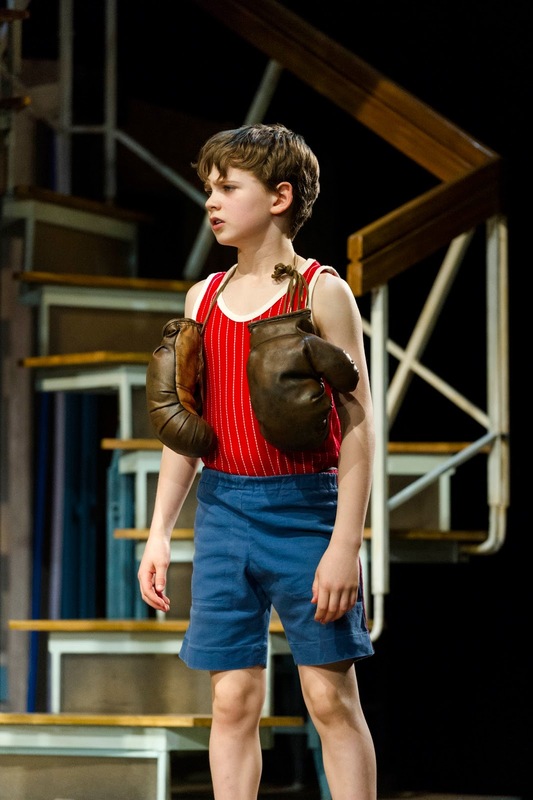 Another key character was Henry Farmer aged 12 whose talent and enjoyment on the stage was a pleasure to see. Italia Ross aged 11, played Debbie, the slightly neglected daughter of the dance teacher. It was amazing to see so many talented children in dancing and acting roles all enjoying themselves. The adult actors took great delight in working with these young professionals. The dance routines were lively and energetic combining a mix of ballet, tap and contemporary dance. The miner's strike is cleverly woven through the story of Billy with some powerful scenes. The stage, lighting and sound effects really enhanced the show showing the rawness of the miner's strike with all its aggression and the gentle nature of Billy with his love of ballet. An unusual combination of ideas. Acclaimed by audiences and critics alike, Billy Elliot the Musical has now been seen by nearly 11 million people across five continents and is the recipient of over 80 awards internationally, including ten Tony Awards and five Olivier Awards. We all said how great it was that Milton Keynes is attracting such a high calibre of shows.